Outlook: After only picking up a pair of wins in the Three Rivers League last year, Canby's boys' basketball team eyes redemption in the 2018-19 season. It will not be easy though, as the team graduated six seniors, including second team all-leaguer Wade Brewer, and returns to play in the ever-competitive Three Rivers League (TRL). Since last season, there were a handful of changes to the competition the Cougars will face when the league play kicks off. Gone are Newberg and Sherwood, the teams that finished fifth and sixth in league respectively. Reentering the TRL is Oregon City, a squad that finished third place in the Mt. Hood Conference last year with a 17-8 overall record. Despite the changes, Canby boys' basketball head coach Craig Evans expects the pecking order to remain similar at the top of the league. "West Linn and Lake Oswego are the favorites for the league," Evans said. "Both teams are big and athletic, (and) they both return a lot of talent from last year." 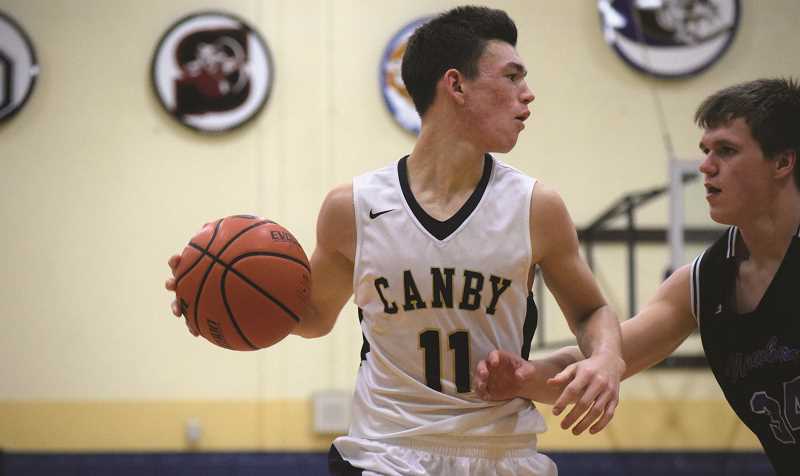 Returning for Canby are a host of solid athletes including junior point guard Ronan Gay, big scorer Rizdin Miller, and last year's breakout player sophomore Diego Arredondo. That trio will be the captains for the Cougars during the season. There will be five players on the varsity roster that are underclassmen, which Evans believes will be a key to the team competing with the heavy hitters in league. "Being young this year we are dangerous for a lot of teams in our league," Evans said. "If we come out of preseason knowing our roles and are confident, we can do a lot of damage in the league." Canby's first league encounter will be on Tuesday, Jan. 8 when they host the Tigard Tigers. Last year, Tigard picked up a pair of victories over Canby, including a razor thing 40-38 win near the tail end of the season.